Victoria Park is a public park in the City of Hamilton. It was opened in 1889 by the Corporation of Hamilton to mark the Golden Jubilee of Queen Victoria. 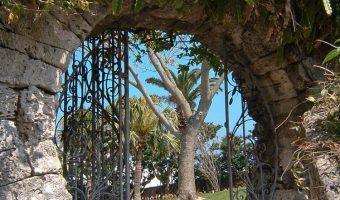 The park features attractive flower gardens, winding paths, and mature trees. 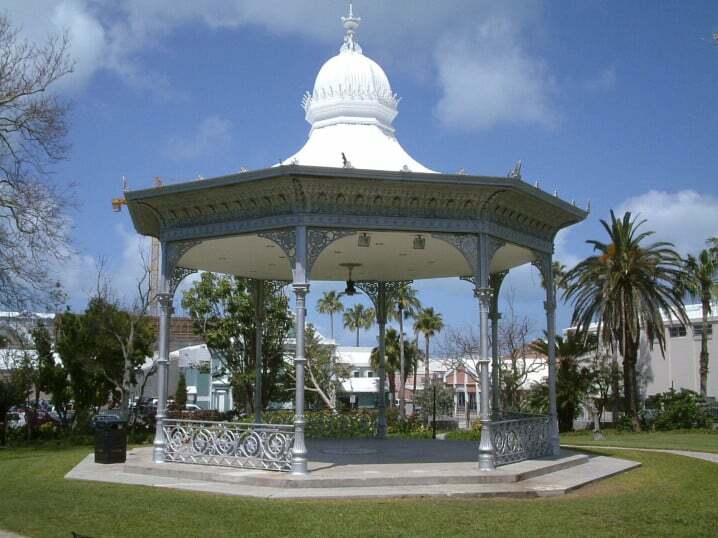 A large lawn features a beautiful cast iron bandstand dating back to the opening. In 2008 it was shipped to a foundry in Scotland to be restored to its original state. It returned to the island the following year in time for the Bermuda’s 400th anniversary celebrations. The park is frequently used as a venue for outdoor events. One of the best is the ‘Summer Sundays’ series of concerts. They are held on the first Sunday of each month from May to September between 3 pm and 8 pm. Entrance is free and tourists are welcome to attend. Victoria Park is situated on Victoria Street in Hamilton, just across the road from City Hall and the bus station. It’s open daily from 8 am until sunset. Map showing location of Victoria Park. We attended one of the Sunday concerts here last month. What an absolutely fabulous event and what a beautiful park this is. The music was brilliant and even better it was completely free. Everybody had a fantastic time. We ate a picnic we had prepared earlier and relaxed in the sun. What a great day! I suspect there were more locals there than tourists – though I personally didn’t go around asking people where they were from. If you’re in Bermuda and want a cheap day’s entertainment for the family then come here.